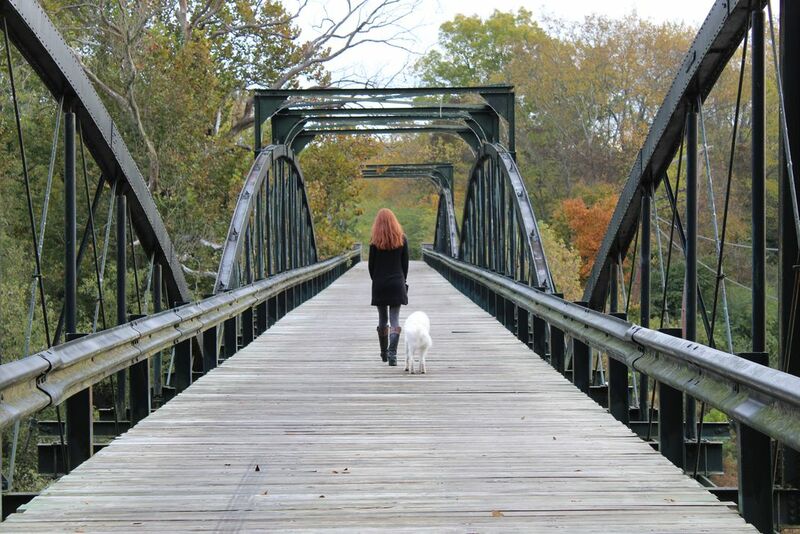 This is a woman and her dog taking a leisurely Saturday morning walk on an old wooden bridge in Bowling Green KY. The leaves are just starting to turn. The air is balmy and breezy. A perfect morning. A scene in rural America.